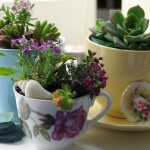 Succulent plants are one of the best plants if you want some greenery without any hassles. They are easy to care and have different varieties too. 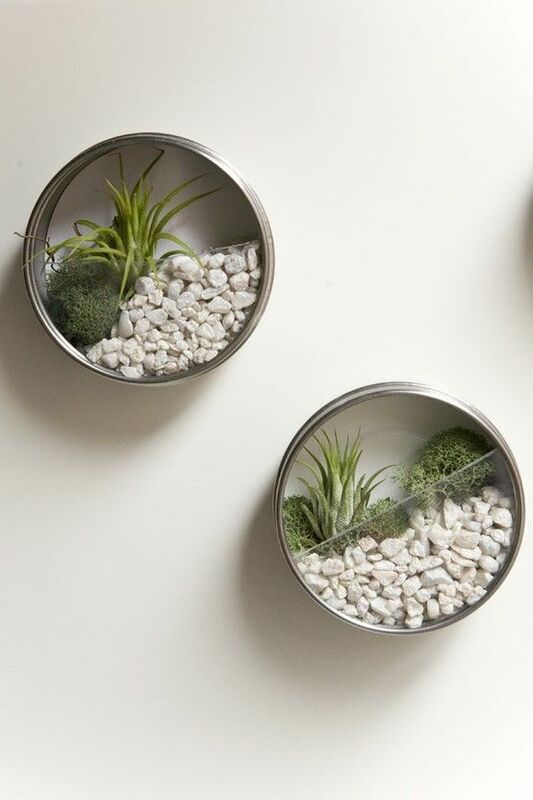 You can easily grow them in about anything, and they are great for decorative purpose too. 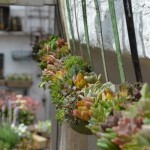 Here are few ideas how to can grow them to beautify your home….. 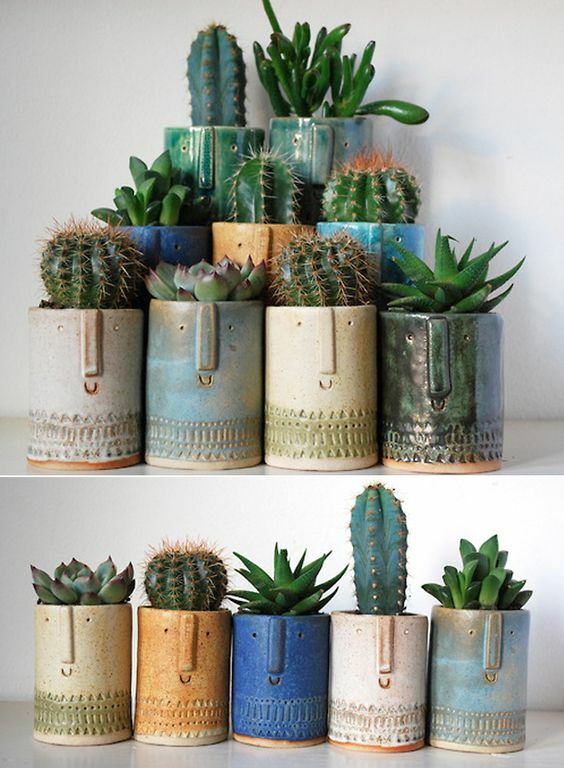 Ceramic Jars– They can be easily used as a pot for growing different succulents. They look very graceful and modern. 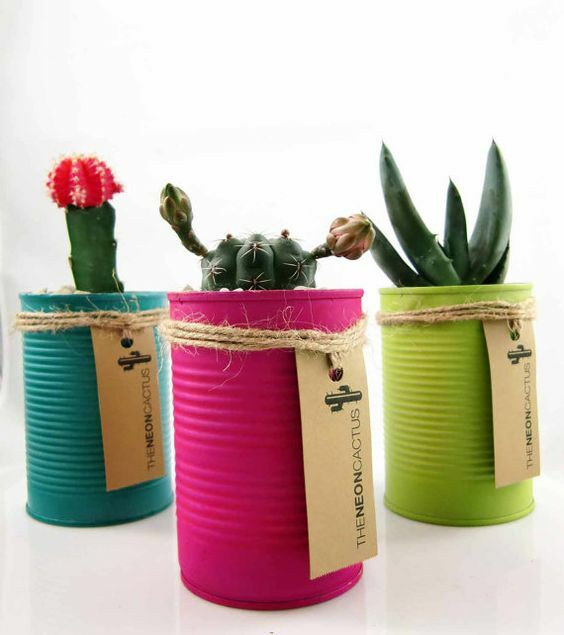 Tin Jars– Leftover babyfood jars made of Tin, can be easily used as pots for growing these plants. You can paint them in different bright colors. Different textures can also be painted. 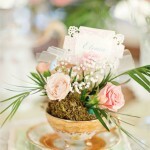 Soup Spoon– If you have many soup spoons collected at home, this idea is definitely for you. 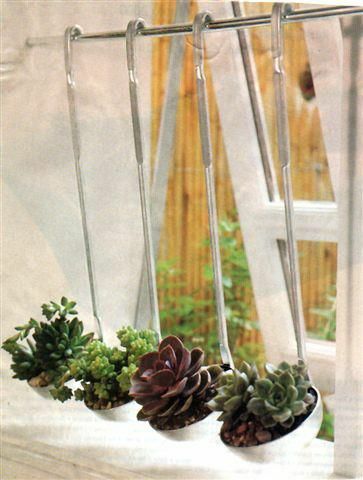 Create this display at a window and you will feel much more closer to the nature. Also it will add up to the display of the window. 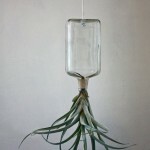 Mini Air Plant– One always has steel tiffins or jars at home which are of no use. Well cut them from center and cut out the entire center, as we need only the circle part. Stick a half round glass at the bottom from both the sides and leave half circle open. Now fill this space created by pebbles, stones, grass and the plant. 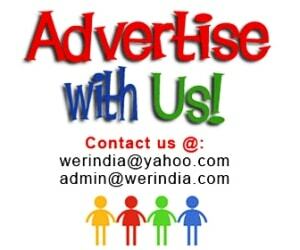 You can also use round strainer which we use at home as is easily available in all Indian kitchens. Glass Jar– Choose your shape for the glass jar, bring in a readymade one or create your own by cutting wine bottles or any other glass bottle. Decorate it with mud at the bottom and add colored stones or pebbles. 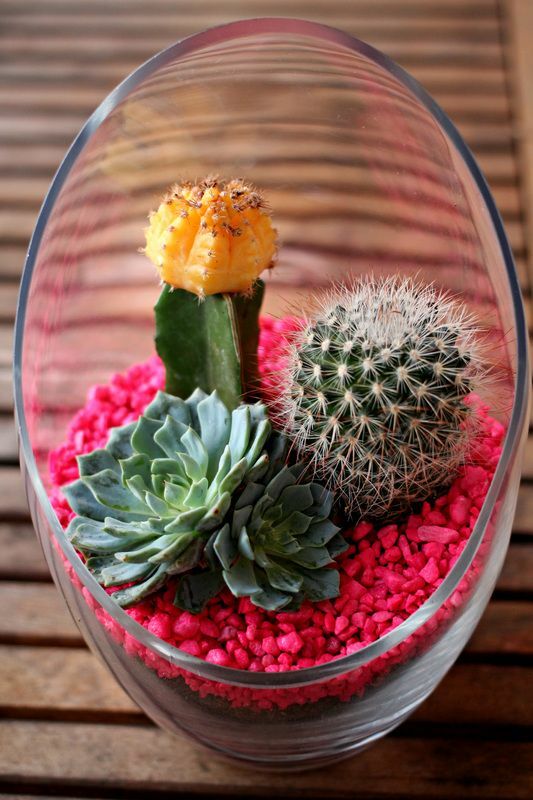 You can grow succulents in it and decorate it as a showpiece.